DEP system solves the wastewater treatment problem, in accordance with regulations on water protection. Decantation is performed through the sedimentation process of suspended material in the wastewater, with the possible use of a suitable flocculent. 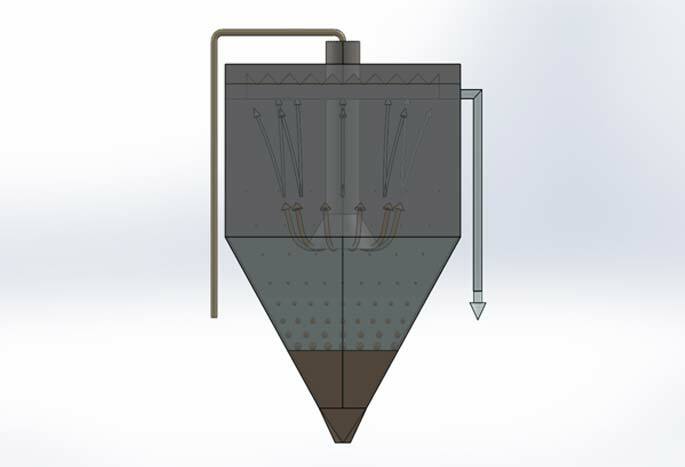 The settling process causes a thickening of mud at the bottom of the settling tank, from where it is extracted, making it compact, dry and suitable for disposal. For sludge dewatering our company offers different solutions, from filter bags system (DS and DSM) for small and medium sized businesses, to the filter press system (FP) for companies having high productivity.